Who were the year’s most courageous and inspiring people? Which groups and campaigns set stellar examples for change-making? We asked our Atlantic Fellows for Social and Economic Equity and the academics and staff of the International Inequalities Institute to cast their votes for 2018’s most valuable players in building a fairer world. This is easy: the Repeal the 8th movement in the Republic of Ireland, focused on securing the reproductive rights of women seeking termination of pregnancy. A phenomenal movement of grassroots feminist organisers, and a landslide result (66.4% of ballots were cast in favour of repealing the country’s anti-abortion law) that truly felt like a cathartic howl for justice. There can hardly be a family in Ireland that has been untouched by the stranglehold the church and state has always had on Irish society, with particular impact on women through institutions like the Magdalene laundries. Once the vote was won, the campaign became all the more inspirational by turning its focus immediately to Northern Ireland where stringent laws prohibiting abortion still stand, and where Alliance for Choice has consistently kept the issue high on the issue high on the agenda with their practical and innovative campaigning. As they say, #thenorthisnext! Quinsy Gario, Jerry Afriyie and other activists who are taking on the racism in Holland's Sinterklaas tradition, the forerunner of Santa Claus. Through their peaceful protests and the defensive outrage they trigger, their activism is bringing the Netherlands’ violent, racist underbelly to the surface. Bunny McDiarmid and Jennifer Morgan, Greenpeace International’s co-executive directors. While Greenpeace is known for its many fierce campaigns to save our planet, this year I’ve been moved by the care and commitment they’ve shown in leading a major transformation to embed values, policies and practices of justice, safety, diversity and integrity into our operations around the world. This kind of deeper, quieter but extremely powerful process of change rarely gets the same visibility or recognition as the big, bold “wins” we tend to notice. The people behind Aditya Chakrabortty’s The Alternatives. 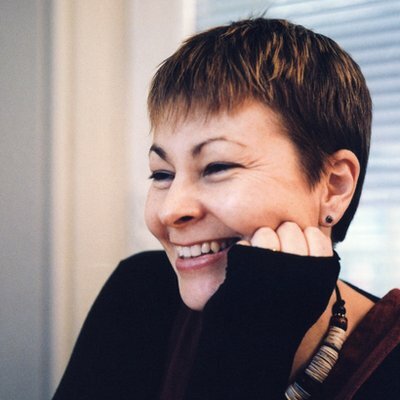 Caroline Lucas, the MP for Brighton Pavilion and the former leader and co-leader of the UK’s Green Party. Ilhan Omar’s campaign to get elected to the Minnesota House of Representatives, and the Turkish lawyers who defend rights activists, civil society leaders and journalists who have been detained without just cause or access to due process/trial. The (ongoing) fight against the “Restoring Internet Freedom Order” (the repeal to net neutrality) has been inspiring in that it’s taken an issue with the potential to be obscured by technical language and distilled it to very simple, easy to rally-behind concepts. I wish I could point to a big “win” (maybe the Democrats taking back the US House of Representatives?) but for now, this is where I’m drawing inspiration as I hope to shift my focus to the intersection of technology and public policy. The Hackney Migrant Centre has celebrated its 10th anniversary this year. It is a drop-in centre offering advice and support for migrants and refugees. During its ten years of existence, it has made a huge difference to many migrants’ lives in London. Docs Not Cops is a campaign fighting against new NHS England regulations requiring ID checks for all patients accessing most secondary (non-emergency) care. The policy was introduced following the 2014 and 2016 Immigration Acts. Trusts are forced to charge upfront those who cannot provide ID to prove their eligibility for NHS treatment. This regulation prevents vulnerable migrants and refugees from accessing health care due to inability to pay as well as fear of deportation. Kate Raworth is one person every inequalities student has to meet, or at least follow via her work. Her book Doughnut Economics is groundbreaking in terms of rethinking how we can grow the economy in a socially and environmentally friendly way. The Global Disability Summit 2018, which took place in London, was an event that brought to broader attention the inequalities faced by persons with disabilities around the world, especially in the realms of employment, technology and social life. It has helped mobilise action for concerned governments and organisations to try develop solutions in the areas where they have made commitments. In August 2018, two schoolchildren were run over and killed by a speeding bus in Dhaka. Unlike many other road accidents that happen every day, this incident spurred a massive protest by over ten thousand Bangladeshi children and youth, surprising the whole nation. Beverley Skeggs and her leadership in the Atlantic Fellows for Social and Economic Equity programme at LSE. Her enthusiasm and commitment to the values and objectives of the Atlantic Fellows programme was very inspiring. It gave me hope that people can actually take heed and take action against inequalities, regardless of age or academic background. I thought my cohort of Atlantic Fellows for Social and Economic Equity were inspiring and brilliant. They were a daily source of reassurance and valuable reminders. Our trip to Oxford in February of this year, where we got to meet Fellows across the entire Atlantic community, particularly stands out. Simply put, it was the highlight of my fellowship experience! Bird la Bird, without a doubt. A queer femme feminist performance artist. Her ability to dissect the horrors and pretentions from history to expose their impact today, with searing satire and humour has no rivals. She has the audience screaming, crying and laughing all at once, then quickly revising the assumptions with which they entered the room. Inspiring? #girlgaze, which “in 2016 launched on Instagram as a way for photographers to submit images, sharing a perspective previously overlooked in mainstream media”. Today they provide a platform that directly provides jobs for female-identifying creatives. For women, by women, about women, with an intersectional approach to storytelling across class, gender, ethnicity and race. There were too many to name! 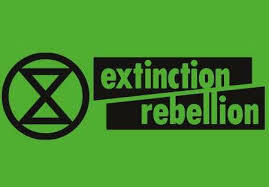 But I will point out Extinction Rebellion, who have been around for all of five minutes, yet have managed to create a real urgency to calls for addressing climate change through their imaginative non-violent direct action. The campaign to highlight the problems with Universal Credit, the major overhaul of income support to low income households in the UK. Universal Credit has been beset with design flaws and administrative problems, compounded by the harsh use of sanctions that involve the removal of income support for sometimes minor infractions of conditions. It has caused serious hardship to many, but research, campaigning and journalism by a wide variety of groups and individuals has brought this to light, recently resulting in a damning report by Philip Alston, the UN Special Rapporteur on extreme poverty and human rights. Changes may be on the horizon. 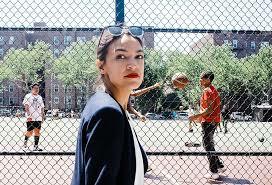 The electoral victory in November of Alexandria Ocasio-Cortez, who at 29 became the youngest woman ever elected to the US Congress, and whose campaign focused heavily on issues related to inequalities.